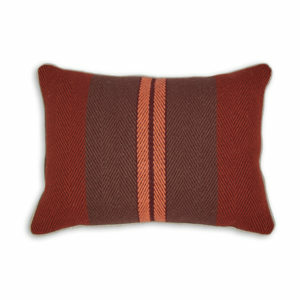 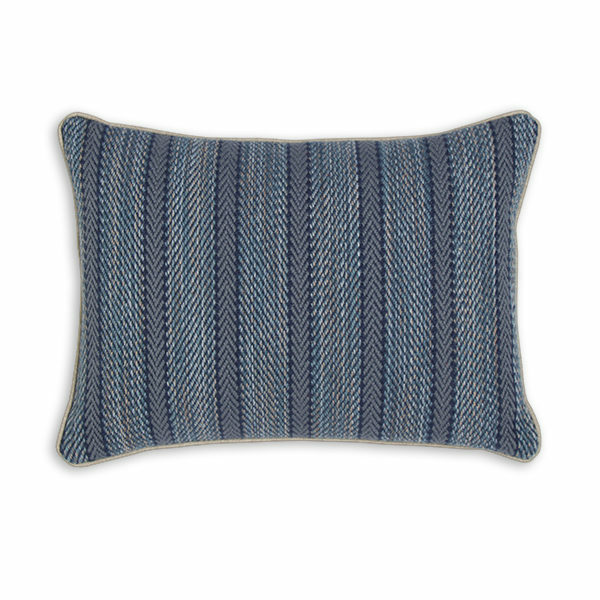 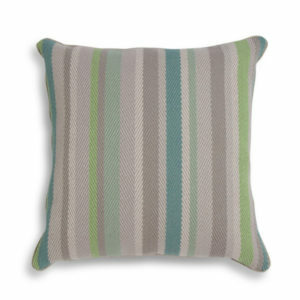 A comfy cushion made with Roger Oates 100% wool Venetian flatweave, backed in linen and feather filled. 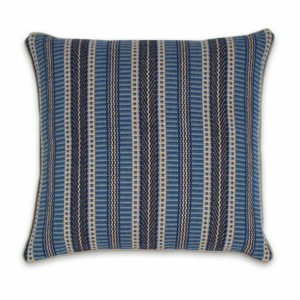 Kasuri is part of the Eastern collection. 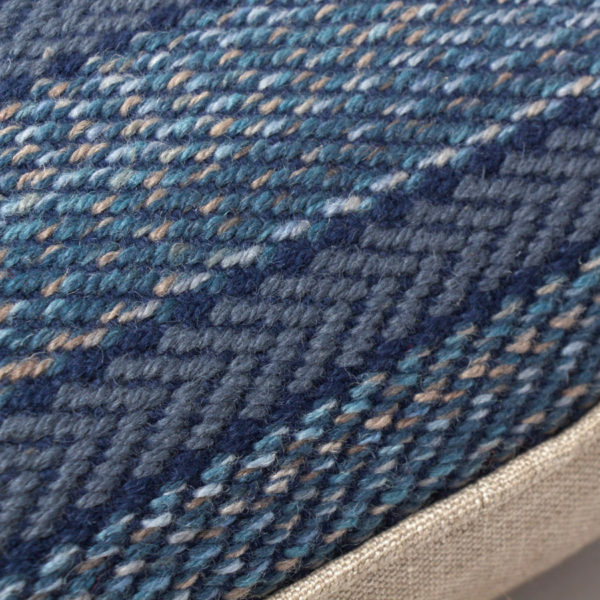 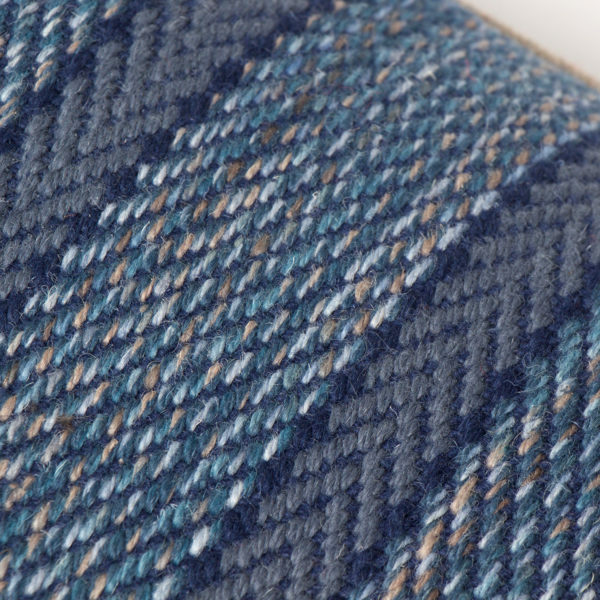 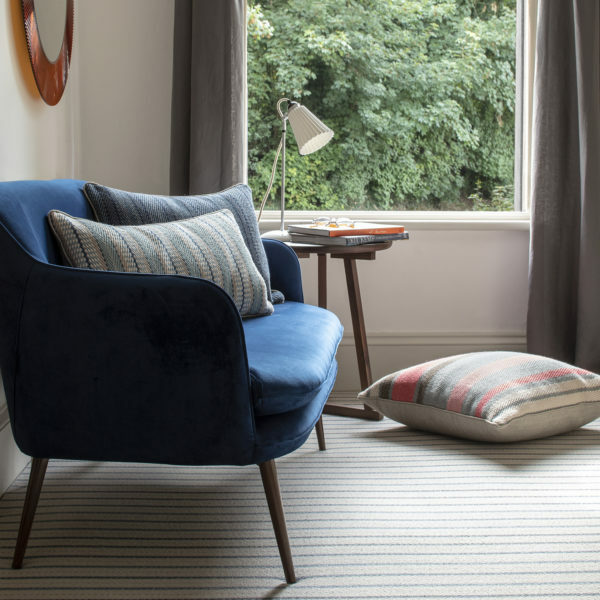 Using a special space-dye technique, organic painted stripes of indigo tones, with a classic herringbone.